If you’ve seen famous Hold’em poker players on TV or have read about online poker players raking in hundreds of thousands of dollars by playing Texas Hold’em poker, then you can’t help but be interested in playing the game yourself. However, with so many poker sites out there today, it can be really tough to find a Texas Hold’em poker site that’s right for you. After all, there are many things to consider before you sign up and deposit your money at an official Hold’em poker room. Fun Texas Hold’em Sites: One big consideration you should take into account is whether you are simply looking at poker as a way to have fun or if you have aspirations of one day becoming a serious player. If you’re looking at Texas Hold’em poker as a fun pastime, playing at an online poker room that offers lots of different gambling services might be best option. The reason being is that there are more fish at sites like these because they feature casual poker players who also like sports betting and casino gambling as well. Some good Texas Hold’em poker sites for fun players are PlayersOnly Poker and Bodog Poker. Top Hold’em Sites: Those of you who want to become serious poker players one day should consider playing at one of the Texas Hold’em sites that’s dedicated mainly to poker. By playing at a room that’s all about poker, you’ll be able to take advantage of more bonuses, find more cash game limits, and compete for bigger prize money in tournaments. Some of the top Hold’em poker rooms include Full Tilt Poker, PokerStars, Party Poker, and Titan Poker. But with all of the extra bonuses, bigger Texas Hold’em tournaments, and larger variety of stakes comes a big drawback: you’ll be facing tougher players. With that being the issue, you will definitely have to brush up on your No-Limit Texas Hold’em tournament strategy and read the best poker strategy books to improve your game. Now some players might think that it’s a good idea to start at rooms where there are more fish, and then work your way up. But the drawback to this is that you need to play the best competition in order to become a better player. So it’s important to use your goals as a measuring stick for what Texas Hold’em poker rooms you choose to play at. If you’re a person who dreams of one day playing in huge live tournaments like the WSOP, then you should also take this into consideration when searching for Hold’em poker sites. 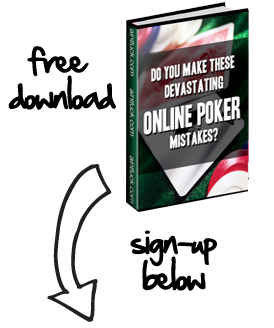 The biggest and best poker sites like Full Tilt Poker and PokerStars run a lot of WSOP online satellites so they’re definitely a good option when trying to win a prize package to a big land-based tournament. But remember that just like anything in Texas Hold’em poker, you need to use lots of strategy in satellites. And this means that you need to look over quite a few poker satellite tips before you ante up the money to enter one. Above all though, just make sure that your playing experience and interests match up with the poker room you choose.